Hospitals can be a lonely place for children, especially as boredom sets in from days spent staring at the same four walls. Project TEACH (Together Educating All Children in Hospitals) aims to make the hospital experience more enjoyable for pediatric patients. Started by two university students who wanted to make a difference, the organization brings volunteers together by using SignUpGenius to organize people and events. 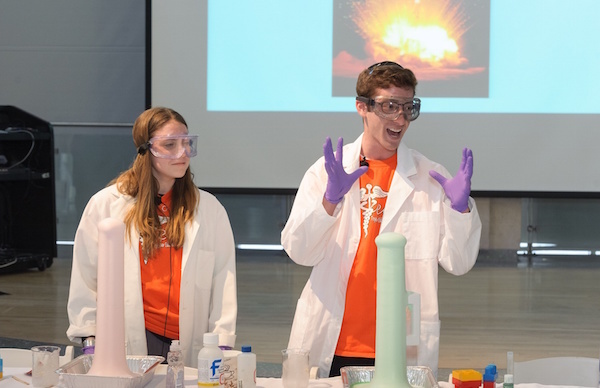 Student volunteers at Project TEACH provide hands-on science lessons, with a healthy dose of fun. For instance, one teaching module helps children learn about the biology of respiration as they build a model of the lung and diaphragm using balloons and plastic bottles. “The patients, their grateful families and the appreciative hospital staff are continually astounded with the energy and excitement the volunteers bring,” says Development Director Michael Shavolian. In just two years, the group helped more than 500 children. SignUpGenius thanks Project TEACH for its commitment to helping young patients. That’s genius! Is YOUR group using SignUpGenius to make an impact and help people? Share your story TODAY!